There were two questions on many people’s lips last night. 2) Just HOW MUCH Old Rosie has Nicholas had to drink. The answer to #2 was “lots”, as you can see from the pictures. The answer to #1 is a little more complex. They’re a 3 piece band who saved us after our original band cancelled. We rang Stu… “Can Urban Gorilla Play on Saturday” – the answer was they couldn’t – two members on other gigs, but not to be defeated, Stu pulled together 2 other members and gave us “The Ron Jeremys”. Bands tend to deliver exactly what they say on the tin, but we had no tin for these guys and didn’t know what to expect. The beauty was that this motif continued through the night. 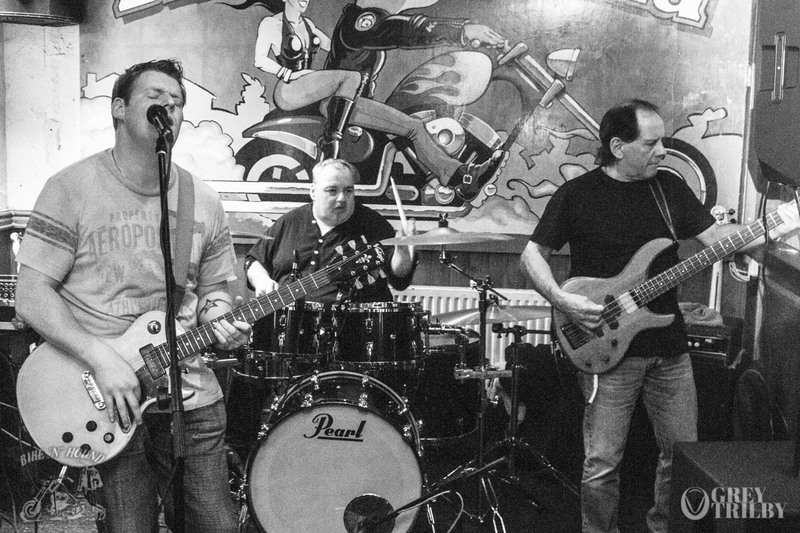 “We just wanna play some good tunes – a bit of rock, a bit of blues, a bit of soul – a bit of everything” – and there, Bike’N’Hounders, is the tin. And they did it. Hendrix, The Eagles, Stevie Wonder, Skynyrd, Doobie Brothers, Bonamassa, George Harrison, Prince, ZZ-Top. Tune after tune and the crowd lapped it up. Self-confessedly a little unrehearsed it didn’t matter – these guys played well, read the crowd well, and just kept belting it out. Dancers in the first half, a packed dancefloor in the second, it was a cracking night.